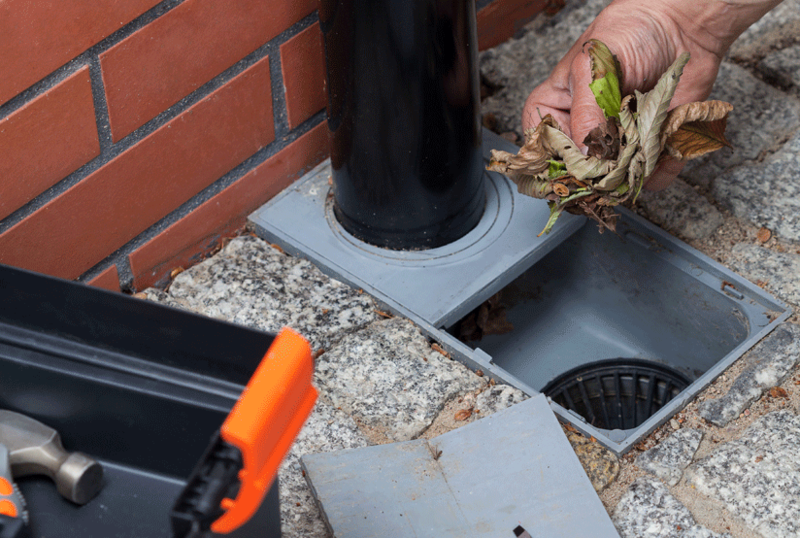 Blocked Drain Bristol – your local speedy solution for any blockages you may have. Call Blocked Drain Bristol NOW to unblock your drains fast! 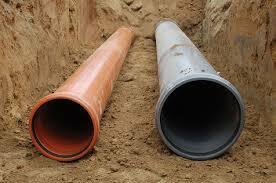 All our drainage team have years of experience and are all fully trained and insured. 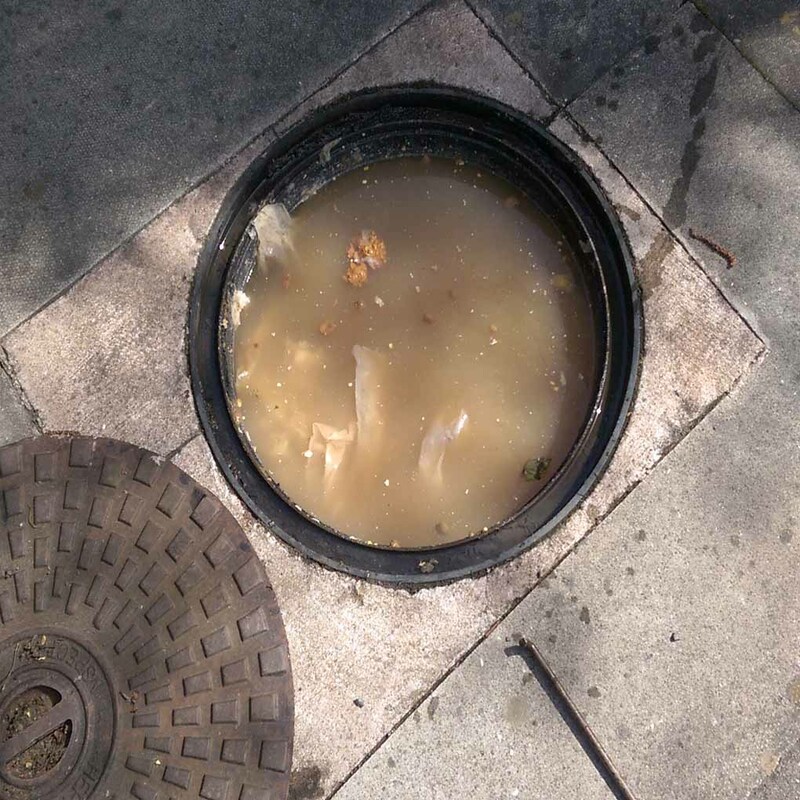 Do you suspect an emergency blockage in one of your drains? Some signs of blocked drain Bristol problems include bad smells from drains, waste water backing up, flooding, and slow plug drainage. No matter the issue, Blocked Drain Bristol is sure to be able to help. Our customers are always satisfied with the service we provide, and we always use the latest methods and technologies available to us to clear any blockages you may be having. Whenever, wherever, call Blocked Drain Bristol on 0117 336 1141 for a quick and professional drain service! Blocked drain Bristol lives and dies by the phrase, “there’s no rest for the wicked”. And we here at blocked drain Bristol think our service is wicked, that’s why we won’t rest until every drain in the Bristol or surrounding areas is cleared and working properly. 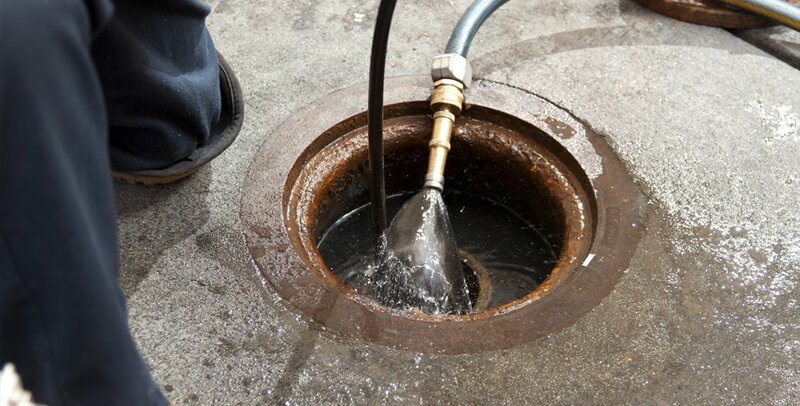 We deal with a lot of different services and not all of it is unblocking drains, of course we have our drain jetting service that can be used to clear blocked drains but it can also be used to maintain a drain before it gets blocked. We also have our state of the art CCTV drain surveys so people who suspect a cracked or collapsed drain can see exactly what’s going on down inside your drains and our drains specialists will know how to fix the problem. Blocked drain Bristol will be fast to get out to you and can solve any drainage issue you put in front of us at a competitive rate and the most professional attitude to work. Blocked drain Bristol also don’t charge call out charges AND we don’t charge VAT on any of our products and services meaning when you recieve a quote form one of our dedicated blocked drain Bristol office team tat’s exactly what you’ll pay. No add ons, no call out fees, and no VAT so you can rest easy knowing your local fast response blocked drain specialists are on hand at a competitive rate at all times. Call now and speak to one of the professionals. Blocked drain Bristol is your number one for fast response drains coverage in the Bristol and surrounding areas 24/7 365 days of the year. Call now and speak to one of our trained office advisors and see for yourself why our customers stay our customers. Professional drains services for the workplace and for your home. 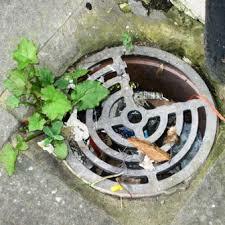 Blocked drain Bristol covers gullys, sewage drains, blocked toilets, sinks, showers and much more. And what’s more is that we don’t just deal with blockages all the time, our drains specialists also deal with broken, chipped, and cracked drains. Blocked drain Bristol is here for you if and when you need us, and what’s more is that we don’t charge emergency rates or call out fees no matter how quick you need someone and no matter where you are. Blocked drain Bristol is here to provide a comprehensive drains service readily available for whenever a blocked drain might strike, which could be any time. Blocked drain Bristol are professional in our approach always no matter the size of the job or how much the customer is paying we feel as if we owe this professionalism to our customers for allowing us to continue what we’re doing for as many years as we’ve been doing it. Thanks for all the support and we hope to continue to grow with you in the future. Call now! Blocked drain Bristol is here for you if and when you need us. 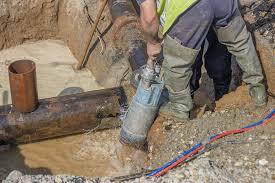 Providing a comprehensive 24/7 365 day a year drain clearing and repairing service. From drain jetting to CCTV drain surveys we provide a bunch of useful services for fixing or unblocking any problem with your drains. With fast response times and over 20 years experience and all the tools and skills to unblock any drain we should be the first people you call when you’re looking fro drains services in the Bristol and surrounding areas. Call now and speak to one of our trained advisors today about all of the services we offer and about our competitive price structure which doesn’t charge for call outs and doesn’t charge you VAT across any of our services. Call now and we’ll point you in the direction of a quick and professional solution to all of your drains problems. Speak to our trained blocked drain Bristol advisors today and we won’t sell you a bunch of services that you don’t need, we’d rather provide information on the services we provide and let the customer pick what course of action they’d like to take. 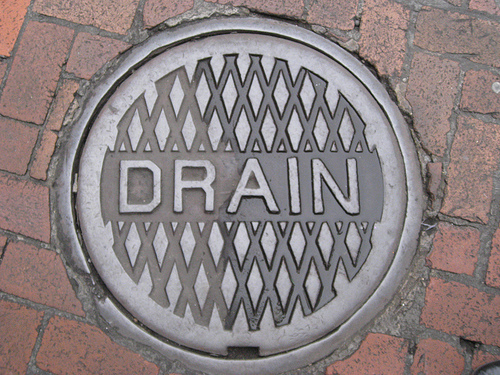 Blocked drain Bristol, speak to the professionals about your drains, today! Blocked Drain Bristol is your local fast response 24 hour drains service for the Bristol and surrounding areas. Call Blocked drain Bristol when you’re in need of drain unblocking or repairs in the Bristol or surrounding areas blocked drain Bristol business you’ve been looking for with 24/7 drains services across the whole of the Bristol and surrounding areas. Blocked drain Bristol offer a comprehensive drains service with drains specialists on hand at all hours of the day or night so no matter if you need your drains cleared now or would like a specific time slot in the future we’re sure to have the availability to suit your needs. 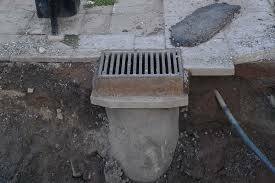 Blocked drain Bristol don’t just unblock drains either we also repair cracked and collapsed drains and can even deal with smaller household blockages such as blocked toilets, sinks, and showers. No matter whether at home or at work no matter how big or small the blockage we’ve got you covered and you can rely on us to provide you with the services you need when you need them. Blocked drain Bristol won’t charge you a call out fee and we won’t charge you any VAT either which means you’re getting the most out of your money only paying for the labour and parts where applicable. What’s more is that blocked drain Bristol don’t charge you add ons for using different tools like other drains companies, what we quote you is what you pay. Call the professionals today! Blocked Drain Bristol are your number one for fast response comprehensive drains services in the Bristol and surrounding areas. Blocked Drain Bristol don’t charge call out fees no matter the time or place. We also don’t charge VAT, this is because whilst we want to provide a 24/7 365 day a year easy to use drain unblocking and problem solving service, it’s also important to us that this service is affordable and as competitively priced as it can be. Blocked Drain Bristol don’t shy away from big jobs and we won’t turn you away because a jobs too small, whether you have industrial sized drains that need cleaning or you have a simple toilet or sink blockage. No matter whether in the kitchen or the bathroom, inside, or outside, at home or in the workplace, blocked drain Bristol has got you covered at all times of the day and evening with fast response times some really useful services. We provide everything you could need to unblock your drains, from high pressure water jetting to CCTV drains surveys no matter the size of the job no matter the time or the place we’ll be there to provide a reliable and trustworthy service if and when you need it without taking advantage of you circumstances. Call now and see how much time money and hassle we could be saving you, today! Here at blocked drain Bristol we don’t just deal with blocked drains, we also deal with blocked toilets and showers and many other types of common blockage too. That’s right our drainage specialists are on hand 24/7 and there’s never a blockage too big or too small for us to unblock whether at home or at the workplace we’ll be ready and waiting for your call if and when you need us with no call out charge and no VAT to pay. Call us today and speak to one of our trained advisors about all our fantastic services that we provide at the drop of a hat or at a later time to suit you. it’s never been easier to get your drains cleared in the Bristol and surrounding areas. Blocked drain Bristol is your number one local source for blocked and damaged drain services across the whole of the Bristol and surrounding areas. Call now and speak to one of our trained advisors today about all the great services we offer, the availability we have to provide those services and most importantly the price you’ll pay for those services. Call today and see how much time, hassle and possibly money we could save you when you get your drains taken care of by blocked drain Bristol. Call now! Blocked drain Bristol are dedicated to providing a fast response no fuss 24/7 emergency and non emergency drain service for the whole of the Bristol and surrounding areas for if and when you need us. Blocked drain Bristol is just one call away with drain specialists coming fully equipped with the best drain services available for your drains. 24/7 365 days a year our drain specialists as well as our trained office advisors are available to speak to you whenever you need no matter the time or date. What’s more is that when you call blocked drain today you won’t pay any call out charge or VAT on any of our services no matter the time or day we’ll only charge you for the work. Blocked drain Bristol is here for if and when you need us and with competitive rates across all of our services you should definitely if you have blocked drains or other drain issues in the Bristol and the surrounding areas. Blocked drain Bristol is your one stop shop for all blocked drain and drain repairs in the Bristol and surrounding areas, with 24/7 advisors and 24/7 drain specialists on hand whenever you need them with no call out charge and no VAT to pay getting your drains unblocked has never been easier. Call blocked drain Bristol for drain jetting and much more today! Blocked drain Bristol are a team of highly experienced drain specialists and office advisors who really know how to make everything easy and reliable for you. What’s more is that we’re open 24/7 365 days a year and our services are competitively priced. Not just that but when you call today you won’t pay any VAT and you won’t pay a call out charge. Speak to one of the professionals at blocked drain Bristol today! We perform lots of drain services such as drain repairs, drain unblocking, drain jetting, CCTV surveys and much more whether you’re at work, or at your home whether big or small just give us a call and speak to one of our friendly trained adviosrs about any drain issue you may be having whenever you like. Don’t feel rushed into speaking to us there will always be a locksmith around to help you out. Call now and speak to one of our trained advisors today about all the great services we offer to you at your home or at work, whether residential, commercial or industrial we’ll get some one to you right away or at a time to suit you to sort your drains out for good. Not only that but you’ll be getting the most for your money when you aren’t paying VAT and you aren’t paying a call out charge. Call today! Blocked drain Bristol are here and here to stay. Anytime you need a drain specialist in the Bristol or surrounding areas to deal with any blocked or damaged drains that you might have. Look no further blocked drain Bristol have got you covered whether your drain issues are big or small near or far blocked drain Bristol has got you covered with a wide range of services that includes CCTV surveys and high pressure water jetting to help you clear and repair any drain issue you may have and do it fast. Blocked drain Bristol works around the clock to ensure that you’re never stuck for premier drain services in the Bristol or surrounding areas no matter the date or time we’ll be able to get someone to you to solve your drain issues no mess no fuss, fast response times, and a professional work attitude is what you get with blocked drain Bristol. Blocked drain Bristol aren’t here to waste anyones time and that;’s why blocked drain Bristol keep it’s prices competitive, what’s more is that when you call our trained office advisors today about drain services today you won’t pay any VAT and you won’t pay a single penny in call out charges when we come to fix your drains. Just one of the ways we keep our prices competitive for our customers. Blocked drain Bristol call now and speak to one of the professionals today! Blocked drain Bristol is your local one stop shop for all blocked or other drain issues in the Bristol or surrounding areas, we’re here 24/7 365 days a year for if and when you need us. We provide a whole host of really useful drain services for blocked or damaged drains including drain jetting, and CCTV drain surveys to name a few. That’s a same day fast response service with no special charge for being so, just competitive rates and fast response times with professional drains people. Call our trained office advisors and talk about your drain problems and possible solutions today and see how much time, money and effort we could save you when you choose blocked drain Bristol to sort your drainage issues. What’s more is that as well as providing competitive rates and a 24 hour service we also don’t charge call out fees and we also don’t charge VAT. So call today and speak to one of the friendly trained advisors today and see if we can’t make you drains issues a thing of the past, today! Don’t just call any drains business, call the number one fast response competitively priced blocked drains business for the Bristol and surrounding areas today! We’re here for if and when you need us with advisors on hand 24/7 to speak to you so don’t feel like you have to make time to call us and speak about drains, call whenever! Here at blocked drain Bristol, we’ve noticed everyone enjoying this recent heatwave we’ve been having, the pubs are filled to the rafters and everyone seems more happy in general, however whilst we don’t think it’s necessarily a bad thing, we’re probably not enjoying as much as you are, as it tends to make our job a lot harder and a lot smellier. So what should blocked drain Bristol do, what about take some time off and wait for it to pass? No, our job relies on us being around 24/7 to deal with any blocked drain Bristol or the surrounding areas. What about charging a premium rate while the heatwave is around to compensate for making the job harder? Absolutely not, we’re dedicated to keeping our prices low and competitive. We think that would be similar to charging more for when it’s raining, and we wouldn’t do that to our customers, ever. Blocked drain Bristol are dedicated to providing a quick and easy to use service that aims to not add any more stress to what could already be a very tense situation, blockages smell and with the weather this could be frustrating you even more, don’t wait for it to go on it’s own because it won’t! Call us today and see how quick and easy we are to use. Blocked drain Bristol are here for you when you need us whatever the time or weather! Here at blocked drain Bristol we’re dedicated to providing great services around the clock 24/7 365 days a week even bank holidays and weekends. All these great services under the same roof with no call out charge and no VAT to pay either. Blocked drain Bristol should be your number one for all drain services if and when you need them in the Bristol and surrounding areas. We work on internal and external drains, we also have the tools for any size blockage including industrial, commercial, and residential. And what’s more is that no matter what the time or day is you’ll never have to pay a call out charge or VAT and that makes our rates even more competitive than they usually are. Call now and speak to one of the professionals about what we can do about your drain issues whatever those issues might be. Call now and speak to one of our friendly advisors now. We don’t employ sales tactics when you call us. We’d rather our advisors provide information about the services we offer and then let the informed customer make a decision based on advise from our guys. Call now and we’ll sort you out today and make sure any drain issue you have is a thing of the past. Call us now! Here at blocked drain Bristol we’re pretty much a local dyno rod like service as in we offer some of the same services as they do and we are also open 24/7 around the clock ready to deal with blockages and drain problems if and when they arise. Blocked drain Bristol do take bookings but we prefer to get the job done as soon as possible in order to make it easier when we get an influx of emergency call outs which has happened to us on many occasions. Blocked drain Bristol are dedicated and her to supply a dyno rod like service for the people of Bristol and the surrounding areas at a competitive rate with fast response times. It doesn’t matter to us whether it’s an emergency and you need us to come immediately, or whether you have a busy schedule and you need us to come at a specific time, blocked drain Bristol will be there for you when you need us. You’ll love our blocked drain Bristol dyno rod like service at a competitive rate to get you out of those tight jams when you’r in them. Blocked drain Bristol don’t just unblock drains either, blocked drain Bristol also offer loads of other wonderful services like CCTV drain surveys and other services such as drain repairs. Blocked drain Bristol have really got it all! Here at blocked drain Bristol we’re dedicated to providing a service of drain unblocking, and many more other services to do with blocked drains, toilets, and all sorts of drain repairs too. Not only that but blocked drain Bristol provides a high level of work all throughout the year whether that be summer or winter. Blocked drain Bristol is around 24/7 365 days of the year. Blocked drain Bristol have over 20 years experience and all the right tools, and skills for any blockage or drain problem you may be having. Call blocked drain Bristol today and see what amazing services we can provide you with. Blocked drain Bristol won’t put you on hold or make you speak to robots, blocked drain Bristol offer you support through the whole duration of your time with us. Call blocked drain Bristol now and speak to one of our trained advisors on what sort of problems you could be having with your drains, and not only how we can fix those problems but how much it’s going to cost as well, blocked drain Bristol is your local trusted dyno rod like service for the Bristol area. Blocked drain Bristol can get to you today, for non emergencies or emergencies call blocked drain Bristol. Here at blocked drain Bristol we’re dedicated to providing the best blocked drain service that we possibly can and that means we have to be prepared to tackle any blockage no matter whether it’s an internal or external blockage, whether it’s a commercial or residential blockage, big or small far and wide blocked drain Bristol really does it all when we’re talking about blocked drains in the Bristol and surrounding areas. Our prices are super competitive and blocked drain Bristol will get out to you fast without any fuss, blocked drain Bristol could come out to clear your blockage as soon as today. Some blockages leave a bad smell in your house, but just because a blockage isn’t smelling out your house doesn’t mean you should just leave it and hope for the best. If you leave a blocked drain for too long it can harbor disease, it could also cause damage to your drain or even worse someone else drain. So when you’re leaving a blockage you could be playing with the whole roads drainage system which obviously costs a hell of a lot more to repair than a blockage takes to clear. Call today and speak to one of our trained office staff about our blocked drain services in Bristol and the surrounding areas. Blocked Drain Bristol uses the latest technology and preventative methods to restore your drains back to normal quickly and efficiently. 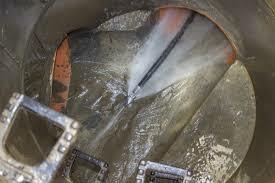 Blocked Drain Bristol uses high pressure water jetting equipment to fully clear away any blockages that may have been building up for a long time, with no damage to your drains at all. 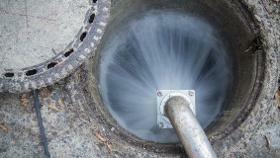 The methods we use for drain repair are fast and efficient. Blocked Drain Bristol uses the most cost-effective way of clearing your blocked drains so you won’t have to break the bank to get your drains taken care of. We offer genuinely low fixed rates, so you will always know how much you’re paying, regardless of how long the job takes to complete. Blocked drain Bristol talk about high pressure water jetting – With origins dating back to the mid-1800s, when it was used in the mining industry. High Pressure water jetting has since been used for a wide range of manufacturing and cleaning applications. In the 1930’s jets of water were used in industrial cutting, and to this day High Pressure Water Jetting (HPWJ) is still used across a range of industries for cutting and cleaning purposes. 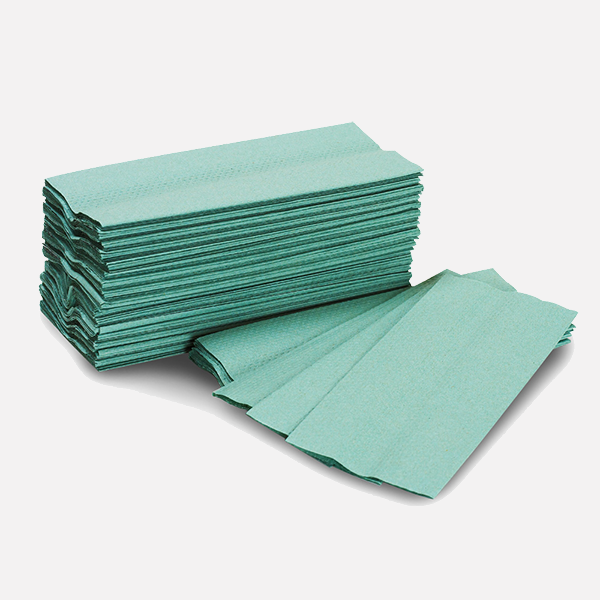 This is because HPWJ has the ability to produce very clean cuts through a variety of materials. Also used by the fossil fuels industry to clean organic and inorganic materials that would be otherwise impossible to remove. In the steel industry it is used to cut metal blocks into pieces and metal sheets into shapes. We use HPWJ to unblock drains. Unfortunately it’s near impossible to make sure drains only ever have clear water running through them and many home owners throw all types of things down the sink and toilet, as well as other unintentional substances such as hair and dirt from washing for example. Other problems people in the mainline city area face include cracked and leaking pipes due to tree roots growing into the pipes, and this is accounts for an estimated 50% of all mainline blockages in city’s, this is even more prominent an issue when systems are older and use ceramic pipes as a pose to more modern systems that now made out of plastic and last much longer. We can also use HPWJ on a much lower pressure jet to take off surface dirt and clean driveways and walls. The advantages of using HPWJ are as follows, HPWJ allows for draining without time and monetary costs of ripping up pipe work and then having to replace it after. Another key advantage of this system is the effect or rather lack of, on the environment as it’s just water at high pressure with no chemicals being let into the draining system and then the sewer. Chemical solutions can often corrode and damage pipes and in severely high concentrations can actually kill the microbial bacteria necessary to help maintain septic systems. Making HPWJ a fast economical method of clearing blocked drains. If fat and grease are left to sit in your drains too long, they can increase the severity of the emergency blockage, which is why it’s important that you call Blocked Drain Bristol as soon as you notice the warning signs. You may have a blockage if the water will not drain properly, or if you want official advice from the government website. So if you need an emergency drain engineer today, call Blocked Drain Bristol and speak to a member of our team for a free quote. Have you got an emergency with your drainage system? Whatever the issue is, call Blocked Drain Bristol right away. Our team of reliable, professional drain engineers work around the clock, 24 hours a day 7 days a week, so there is always someone on hand ready and waiting to respond to your call. Blocked Drain Bristol comes highly recommended from both past and present clients, and the team has years of experience in the field, so you know you can rely on us to provide you with the highest quality drain work in Bristol. You have a blocked drain Bristol and it’s causing you problems, maybe it’s starting to smell or maybe you just need it gone, fast. What do you do? You could call out a plumber and pay an extortionate call out fee and even then he might not have the right tools for the job. Why don’t you call the professionals? We’ve dealt with drains for over 20 years, we mix this experience with the latest in High Pressure Water Jetting and CCTV equipment. We’ll be on the scene fast to deal with your drain, fast. We don’t charge call out fees but that doesn’t mean we’re any slower than any of the companies that do. But it does mean we’re cheaper, with competitive rate our team are sure to get you up and running with a clear drain in no time. Why try and tackle a blocked drain yourself? Save your time and call us today. One of our staff will always be able to take your call whatever it’s about whatever the time. This is thanks to our 24/7 365 hotline where you’ll be able to call us out at your convenience, we even work bank holidays! That means there’s never been a better time to clear that pesky blockage. Don’t wait until you need serious work done. Don’t wish a blockage away. Call our dedicated blocked drain Bristol team today and let us see what we can do for you! 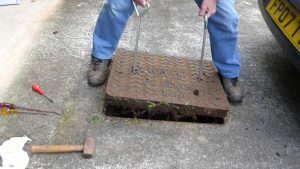 Here at blocked drain Bristol we know it can be a pain to find you have a blocked drain, and we also know that it can be an even bigger pain in the neck trying to find someone local, who’s available, with the right equipment to get the job done, and someone who isn’t going to charge you the world to do it! Well if you have a blocked drain Bristol, you don’t need to worry about this anymore because we’ve eliminated the possibility of you not being to get hold of us, by staying open 24/7 365 days a year with fast response times and competitive prices and availability all over Bristol, even if you don’t need us now, take our number because you never know when a blocked drain could strike next, and with us at your disposal it doesn’t matter either! We train all of our drain unblocking team to our insanely high standards and won’t let them out on a job until this is so, this is because we want you to be confident in our teams ability, by knowing we’re sending you someone who’s fully trained and knows what they’re doing. What’s more is that before even being allowed to join our team, this is because we feel it’s just as important to send you someone you can trust than it is that we send someone capable of doing the job, and we’d never send someone who wasn’t capable of the job! So call us today and speak to one of our friendly advisors today and see if we can’t send someone on their way to unblock your drain in a matter of minutes from your call! Here at blocked drain Bristol we’re very proud of the way we’re able to get to people in an emergency, fast! That’s what you get when you come to blocked drain Bristol, you could be tempted to call out your local plumber but that might cost you more than you need to pay. Unlike some plumbers and drains companies, blocked drain Bristol don’t charge you for a call out, we just charge you for the work. Blocked drain Bristol has a very stream lined and easy to use system from the moment you call us to the moment we arrive, you won’t feel stressed at all. Blocked drain Bristol is happy to offer a great drain unblocking service to the people of Bristol and the surrounding areas. Blocked drain Bristol are a company you can rely on, our emergency line stays open 24/7 and 365 days a year so you’ll always be able to speak to someone if you need us. Even if your problem isn’t an emergency we’re still open 24/7 and ready to fit around your busy schedule. What does a blocked drain Bristol drain survey include? With the experts at our service you will be able to book in for a drain repair survey for your home or business with ease. All you have to do is phone us and let us know what time suits you. What is a blocked drain Bristol drain survey? It’s a CCTV check of your drain and pipe systems. Both large and small scale drain surveys are available. As well as the blocked drain Bristol drain survey, you will need to ensure all is in order before starting building or extension work. 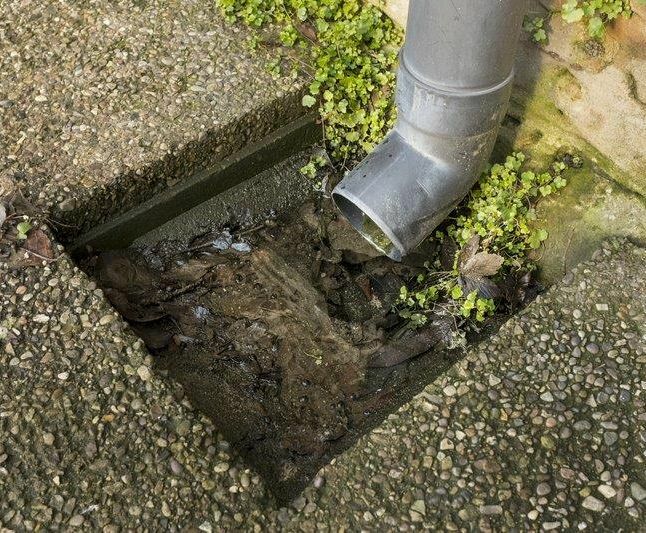 With a blocked drain Bristol drain survey you’ll be able to ensure that there are no defects on the drains which run on or under your property. You will be able to repair any drain defects that may be spotted. And with the highly skilled blocked drain Bristol technicians you’ll be able to do so at a reasonable rate. It’s important to ensure that it is safe to start any extension work, and that no long or short term damage is risked to your pipes. The time a blocked drain Bristol drain survey takes varies, and depends largely on what system you are investigating. Our professional technicians are equipped for every drain survey job you can imagine. A phone call and a conversation about it is all you need to find more insight. 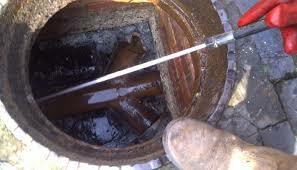 Blocked Drain Bristol drain surveys can assist you in various ways and can uncover issues large and small in good time. For specialist advice and certified blocked drain Bristol drain survey information, please contact our friendly and fast team at your closest convenience. We can, of course, also assist with a range of other services related to your pipes, drains and plumbing. Feel free to contact us now with your request. Here at blocked drain Bristol we deal with a number of different types of scenarios, from commercial drains to residential toilets and showers to massive industrial drains, from internal drains to external drains, from drains that just need bit of rodding to stubborn drains that require jetting, even suspected blocked drains that turn out to be much more serious problems. With over 20 years experience blocked drain Bristol is happy to be the number one supplier of drain services for the Bristol and surrounding areas. A local trusted drain unblocking service that won’t let you down? You’re in the right place, over the years we continue to be humbled by the amount of support shown from the people and businesses in Bristol that allow us to continue to do what we do 24/7 365 days of the year. Blocked drain Bristol is here for you if and when you need us, this is because you may go through your whole life and not need our services or the services of any drain company but when you can’t deal with a blockage in the traditional way then it’s always nice to know that we’ve got your back, not only do we have your back but we don’t charge call out fees or VAT. All things we’ve done in order to keep our service as cost effective as possible. Call now and see what we can do for you, today! Here at blocked drain Bristol, we’ve got over 20 years experience, and at blocked drain Bristol we make it count every single day. Here at blocked drain Bristol we don’t just unblock blocked drain Bristol, we also repair drains all over Bristol as well, that’s why we say blocked drain Bristol for drain repairs as well as any blockages. Blocked drain Bristol focuses on simplicity by having a system that’s easy to use and streamlined, with blocked drain Bristol you can skip to getting a blocked drain Bristol team to come and fix your blockage or what could even be broken drains. You can reduce the likelihood of broken cracked or damaged drains by getting a blockage cleared as soon as you can, blocked drain Bristol know these things can come at the worst times in general, but also the worst time financially. Call today and talk to our trained office staff about how you can get yourselves a blocked drain Bristol team to come and sort your drains out. Call now! Here at blocked drain Bristol we don’t just cover only commercial drains, nor do we just unblock small residential toilets. We don’t just either of those because here at blocked drain Bristol we unblock everything, from internal, to external, toilets, to sinks, to baths, to drains, to commercial, to residential, we have the skills, experience and most importantly the tools to unblock any drain no matter about size or how stubborn it is, it will never be a match for our specialist drain technicians. Our team works tirelessly around the clock 24/7 365 days of the year to ensure that the people of Bristol and the surrounding areas never have to suffer with a blocked drain for too long. Blocked drain Bristol would never recommend leaving a drain blocked up for any longer than you have to, while we understand these things can come at the worst times financially, we work constantly to ensure as soon as you can get it done, you can actually get it done, doesn’t matter whether it’s day or night, weekend or bank holiday, all you have to do is call our office and speak to one of our friendly trained advisors, and we could have one of our teams on the way to your home to unblock your drain in a matter of minutes. It’s really that easy! Here at blocked Drain Bristol we take customer service very seriously, in fact we try to bring the same dedication to our customer service that we bring to unblocking drains. Over the last 20 years we’ve seen more than our fair share of companies come and go because they didn’t take customer service as seriously as they should and now they don’t have businesses. We on the other hand have never taken customer service lightly, and we’re still here. 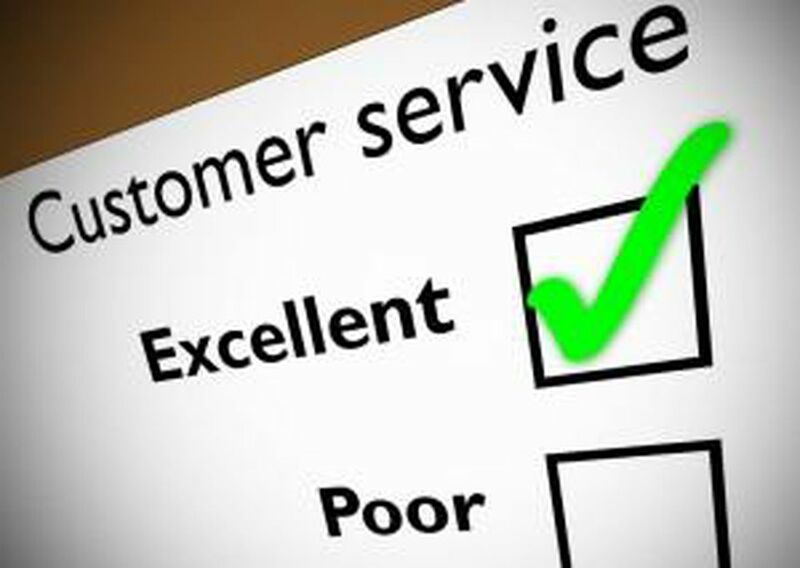 Customer service is an integral part of the business and we aim to make each customer feel like they’re receiving special treatment. The only other time we’ve seen this by other companies is when they’ve charged a customer more based on what post code they have, which we think is a shameful way to run a business. That’s why we’re done with just talking about customer service and the same reason we offer our 24/7 356 day a year phone line, primarily open for emergency call out however we love hearing from our customers whether they need some advice or whether their house is flooding while we speak, our trained representatives will do everything in their power to get you what you need, and that to us is the best customer service you could ask for! Blocked Drain Bristol know it’s never a cause for celebration when you find yourself in a blocked drain Bristol situation, that’s why we think that you’d appreciate a service that you can call anytime any day any place in Bristol, where someone will come out to you and not make you wait all week, and someone who can repair your drain after unblocking it in if required, all that and not charging you an arm and a leg at the same time. Blocked Drain Bristol think we are those people and that’s why we’re so quick to respond to calls, we know the only thing you want to do in a Blocked Drain Bristol situation is get back inside your house and the longer it goes on that you’re not able to do that the more irritating it becomes being locked out. That’s why we’ve streamlined our service to be as simple as possible so even if you’re at the end of your patience, you will still be able to talk to someone friendly with a end to your blocked drain problems in sight. Blocked Drain Bristol just want to make it as simple as can be to get a drain specialist out to you, and that’s why from the moment you call us to the moment your blocked drain Bristol specialist arrives on the scene you’ll know that you’re in good capable hands. Call today! Here at blocked drain Bristol, we mean it when we say it’s really all about the customer, we deal with so many different types, from customers who just want the job done as soon as possible, to people who can’t take their eyes off of the work hoping to learn something. Point is, we love all of our customers and we make an active effort to show it. Customer service is more than a load of buzzwords about company ethos, it’s about treating your customers with respect, and engaging in an open dialogue customer to business and business to customer. So without rambling any more, we’re happy to inform you that our lines are open 24/7 365 days a year and if anyone customer, potential customer, or enthusiast wants to call and speak to one of our trained advisors? Feel free, we’re not like other companies who make you wait years on hold just to let you know after you’ve waited around half a day that the person you’re speaking to doesn’t know how to help. We also won’t make you talk to automated machines. No in fact you’ll be put right through to one of our advisors who are trained and know how to handle your call in the most helpful way they can. Don’t believe us? Why don’t you give us a try? Here at blocked drain Bristol we’re dedicated to providing the fastest and most efficient drain services possible to the people of the Bristol and surrounding areas. Blocked drain Bristol are a small local outfit consisting of local drain specialists and our trained office advisors who dedicate their time to providing the easiest to use and most reliable drain service possible. Around 24.7 365 days of the year you’ll never be stuck with a blocked drain in Bristol without someone to help you out. Call our lines today and speak to one of our friendly office advisors today about all the great services we offer, our availability to provide those services and most importantly how much those different professional services will cost you. We’re competitive on price AND we don’t charge call out fees, neither do we charge VAT so what we quote you is what you pay. Call now. We provide drain services across the whole of the Bristol and surrounding areas with fast response times and all the tools and services to ensure any drain issue you might be having can be a thing o the past, today. Call now and speak to the professionals about how we can save you a whole load of money when you take our drain services compared to others around. Call now! 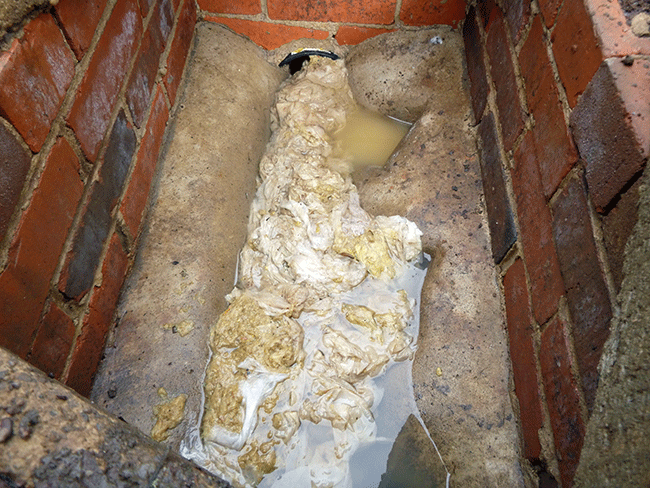 Here at blocked drain Bristol we encounter all sorts of blockages from large external drains on building sites to toilets and even sinks in homes, however most of these internal household blockages could’ve been prevented if the homeowners had known the causes of a blocked drain Bristol. We’ll go through some ways in which you can learn from the mistakes of others and avoid a visit from the blocked drain Bristol team. Although it’s not a good business model to tell people how to avoid using your service, we here at blocked drain Bristol have only one goal, and that’s to eradicate any blockages completely, that means by any means necessary, even if that means telling you how to avoid them in the first place. For over 20 years we’ve been unblocking drains and we’ve learnt the most common causes to internal and external drains. Here’s some tips for you to avoid blockages in the bathroom. Firstly to avoid a blockage in the bathroom we must look at the most common causes of a blocked drain Bristol in your bathroom. The main culprits in the bathroom are things like paper towels, sanitary towels, and cotton buds, all are avoidable. 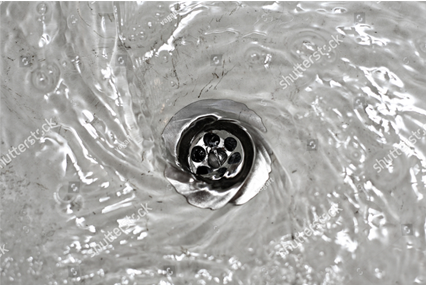 If you think you have a blocked drain Bristol then don’t wait for it to cause havoc, call us today! Lines are open 24/7 365 and we won’t make you sit and talk to a robot all day, you’ll be connected straight through to one of our trained advisors. Last week, Barbara became concerned when she discovered a foul odor coming from her kitchen sinks, and when she discovered that the water wasn’t draining properly she called Blocked Drain Bristol. We offer genuinely low fixed prices with no hidden costs or call out fees. So, like Barbara, you’ll always have an idea of how much you’re going to be paying beforehand. It doesn’t matter how long the job takes to complete. We believe that drain blockage prevention is the best solution. That is why Blocked Drain Bristol always use the very latest technology and preventative methods such as CCTV surveys; we ensure that you won’t have to face the same problem again in the future. Blocked Drain Bristol saves you time and money. Here at blocked drain Bristol we know it’s tough to find time and money to sort out that blocked drain, but did you know that the longer you leave it you could end up paying more. In fact the best time to get rid of a blockage is when you find it. We understand that it might be a struggle as blocked drains tend to come at the worst times financially, and that’s why we’re open 24/7 365 days a year, so as soon as you’re ready to tackle that blocked drain, sink, or toilet, we’ll be there for you waiting to help. Our response times are fast and our prices are always competitive. We don’t want you to think our prices are reflective of our work, you might think we’re capable of doing a bad job, and that isn’t the case. Our prices always reasonable, and our work always professional. This is due to the heavy training we give our team before letting them out in the open representing our company. We love a challenge so no matter if your drain is big small, external or internal, blocked drain Bristol will have the tools and the skills necessary to get you going with your day again. Call us to book your blocked drain Bristol team visit today, we won’t make you talk to robots or put you on hold for half a day, our advisors are all trained and will be able to deal with your call in a matter of minutes! This means it’s very important to spot a damaged drain as soon as possible as leaving it could cost you an arm and a leg, and unlike a simple blockage these jobs can’t be attempted without specialist knowledge. 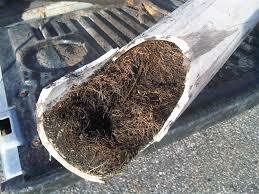 We also offer a root removal service if required. What are the main causes of damaged drains then? 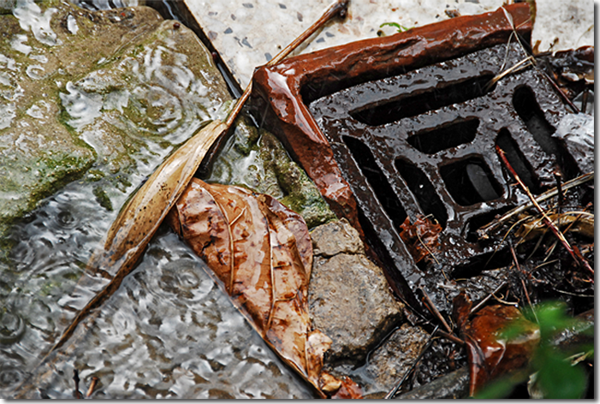 Damage drains are can be caused by any number of things or a combination of a few things and sometimes things we’d never know about such as wild life and roots of trees. Unfortunately there’s limited technology out for helping with prevention, however we can come and repair a drain for you once it’s broken and with our nifty technology and years of experience it shouldn’t take us long either. Your broken drain will vanish with us. Call our 24/7 365 day a year hotline and see if we can help you with your broken drain, or anything else to do with your drain for that matter. You’ll always be able to speak to one of our friendly members of staff and they should be able to help with your query. Blocked Drain Bristol values the satisfaction of customers like Barbara as our top priority, and we aim to provide every client with the best services for the best prices. We understand that it may seem easier and cheaper to try and fix the emergency drain problem yourself, but more often than not this leads onto additional unwanted problems that cause more damage to your property and are more expensive to fix, which is why we recommend calling Blocked Drain Bristol for a trained and reliable drain engineer you can trust. So if you’re in need of an emergency drain engineer, call Blocked Drain Bristol today and speak to one of our trained advisors for help and advice, as well as a free no obligation quote. 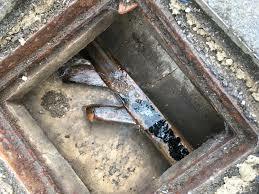 Blocked Drain Bristol are specialists in 24 hour emergency drain that may require tools repair. If you’ve got a problem with your drains, call Blocked Drain Bristol. Our team of emergency blocked drain engineers work 24 hours a day, 7 days a week, so you can rest assured that there is always someone ready and waiting to receive your call. Last week Paula found that her toilet bowl had become blocked and the water level was rising with each flush. A problem such as this can be highly inconvenient, but Paula knew she could call Blocked Drain Bristol for great service at great prices. When you realise that your drain is blocked the first thing you need to do is act fast. This is because a blocked drain can often lead to much larger problems, such as flooding, if left unattended. Luckily for the people of Bristol, your blocked drain Bristol specialists have rapid response times. As soon as we’ve diagnosed the problem and given you a free, no-obligation quote it’s then up to you to accept our offer. If you should accept, one of our friendly drain specialists can be at your property within half an hour of your call, no matter what time of day or night! At the heart of our professional blocked drain Bristol service, is our customers. We understand that when trouble strikes with your drains, every minute counts. This is because the potential for flooding and the damage it can wreak on your home is a high risk. By calling a fully-insured, professional drain unblocker, you will be saving more than just time and costs, you’ll probably be saving your home. Once we arrive at your property you’ll see that we have all the latest tools and equipment to tackle any blockage, no matter where it is located. This allows us to deal with problems quickly and efficiently, remedying any problem usually within an hour. What’s more, our fast and efficient unblocking service means that you save time and costs from us. By investing in our staff and their equipment, we can ensure that tasks which may take some professionals over an hour, can be done within the hour. All our drainage engineers are more than happy to provide you with free advice to better maintain your drains in the future. It’s all part of the Blocked Drain Bristol belief in delivering excellent c to the people of Bristol and the surrounding BS postcodes. We offer low fixed prices so you’ll always know how much you’re paying beforehand, regardless of how long the job takes to complete. We believe that prevention is the best solution, so when Paula called Blocked Drain Bristol to take care of her blocked toilet we used the latest technology and the best preventative methods to ensure that she did not have to face the same problem again, saving her both time and money. Sometimes it may seem easier to try and fix the drain blockage problem yourself, but this often leads to more unwanted problems which can create more damage and expense, which is why we recommend calling Blocked Drain Bristol and speaking to one of our trained advisors for help and guidance. We will always try and obtain as much information as possible from your initial call to establish the most effective course of action at the best price. Customer satisfaction is our number one priority, and we aim to provide every client with the best service for the best deal. Blocked Drain Bristol come highly recommended from a wealth of clients both past and present, and our team of professional dedicated drain engineers have years of experience within the field, which is why Paula knew she could rely on us for the very best service. So if you’re in need of an emergency blocked drain engineer, call Blocked Drain Bristol for help and advice, as well as a free no obligation quote. If you’ve got a blocked drain, call Blocked Drain Bristol. Our team of professional, reliable drain engineers are fully equipped to tackle any task, working around the clock 24 hours a day 7 days of week, so there is always someone on the other end of phone ready and waiting to take your call. Customer satisfaction for emergency blocked drains is our number one priority, and we aim to give every client the best service for the best prices. Blocked Drain Bristol offer low fixed hourly rates with no additional call out fees or hidden costs, so you know just how much you’re paying no matter how long the job takes to complete. Most jobs can be done within an hour, and, with an average call out time of 2 hours, we can ensure that we’ll take care of your emergency blocked drainage systems swiftly and efficiently, leaving you to get on with the rest of your day with minimal fuss. Blocked Drain Bristol have years of experience and come highly recommended from a wealth of clients both past and present, so you know that you can trust our team of professional emergency drain unblocking engineers for high quality work. We believe that prevention is the best solution, which is why we always make sure to use the best preventative methods to ensure that problems don’t happen again, saving you time and money. 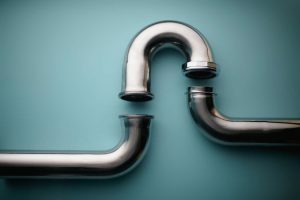 A blocked drain in Bristol will never go away on its own, and sometimes it may seem easier and cheaper to try and fix the issue yourself, but more often than not this leads to additional problems if you are not a professional plumber resulting in issues that are more damaging to drains and more expensive. So we recommend that you call Blocked Drain Bristol and speak to a member of our team. If you’re in need of an emergency drain engineer, or if you’re after drain repairs or replacements, call Blocked Drain Bristol today for a free quote. Blocked Drain Bristol offers all types of commercial and domestic emergency drainage services for any time of day or night. Whether you have a blocked toilet or a drainage flood in your kitchen, the team at Blocked Drain Bristol have years of experience in resolving any unblock drainage situation you may have. We specialise in clearing and repairing all types of blocked drains, providing fast and professional emergency service with all work being completed to the highest possible standard. 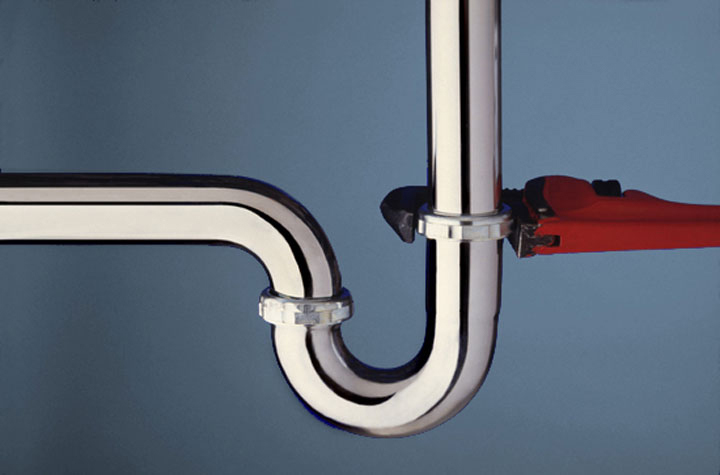 The emergency Blocked Drain Bristol team understands how stressful and inconvenient it can be when you find yourself with a blocked or clogged drain, which is why they guarantee fast response, and are readily available to dispatch a specially equipped van and a highly trained Blocked Drain Bristol engineer. Whether the drain requires emergency unblocking rod work, blockage jet cleaning, or CCTV exploration, there is always someone available to help. Working around the clock 24/7 ensures that you always have someone to call in the event of a blocked drain emergency, as well as a trained adviser on the other end of the phone if you are in need of help from Blocked Drain Bristol on your personal drainage situation. Blocked drain Bristol deal with lot’s of types of blockages lot’s of different types of drains and this means a lot of different levels of stubbornness. 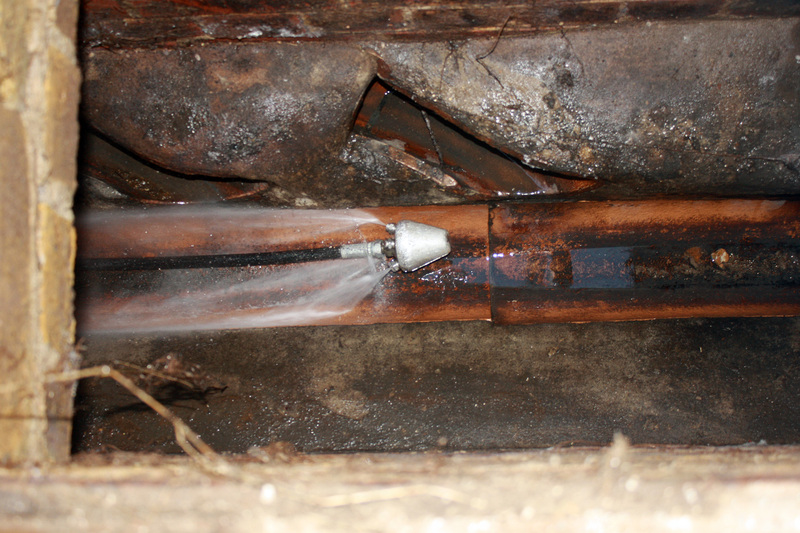 Some drain unblocking jobs can last 15 minutes, others can last hours. T|his doesn’t matter to blocked drain Bristol as we’re prepared for any type of drain and any type of blockage, we’re confident that no matter how big or small your blockage is, blocked drain Bristol will have the appropriate tools and experience for the job. That’s not it though, blocked drain Bristol doesn’t just deal with blocked drains, blocked drain Bristol can also diagnose drain issues, help you maintain your drains, and even repair broken drains if that’s what you require from us. Blocked drain Bristol supply the fastest dyno rod like service in the whole of Bristol and the surrounding areas, so if you’ve got a problem with your drains whatever it may be, or maybe you don’t even know what the problem is just that there is a problem. Not to worry blocked drain Bristol can come out and diagnose and then solve any blocked drain problems. Call our phone lines today and if it’s an emergency we’ll come right out to you, our trained office staff will whizz you through the call as fast as they can in order to save you time and then one of our blocked drain Bristol team will be on their way out to solve your issue. Call now. Ensuring you and your family’s safety is vital to the team, which is why every engineer is specially trained to significantly minimise any health risks associated with carrying out drainage work. All work is controlled, with any affected areas being fully sanitised so you can rest assured that your safety is always taken seriously. Blocked Drain Bristol offers a complete range of drainage services including drain cleaning, drain repairs, drain maintenance, drain replacement, blockage clearance, installation, drainage CCTV surveys and more. Don’t hesitate to get in touch with one of the team for a free quote and to assist with the emergency maintenance of your home’s drainage system. A blocked bath, sink, or toilet can create a number of problems that you don’t want to deal with and can cause an unwelcome interruption to your day. They can cause flooding inside of your home, apartment or office and can often cause damage to floors or any belongings that are in the way. If you have noticed a drain blockage in any of these places, it is best to get the problem solved right away in order to prevent any further damage being caused. The Blocked Drain Bristol dedicated team also cleans taps, drains, and waste pipes throughout Bristol, as well as looking into problems with drains and pipes that could be caused by age. Old drains are weak and are often prone to crumbling which can cause the drain to collapse. 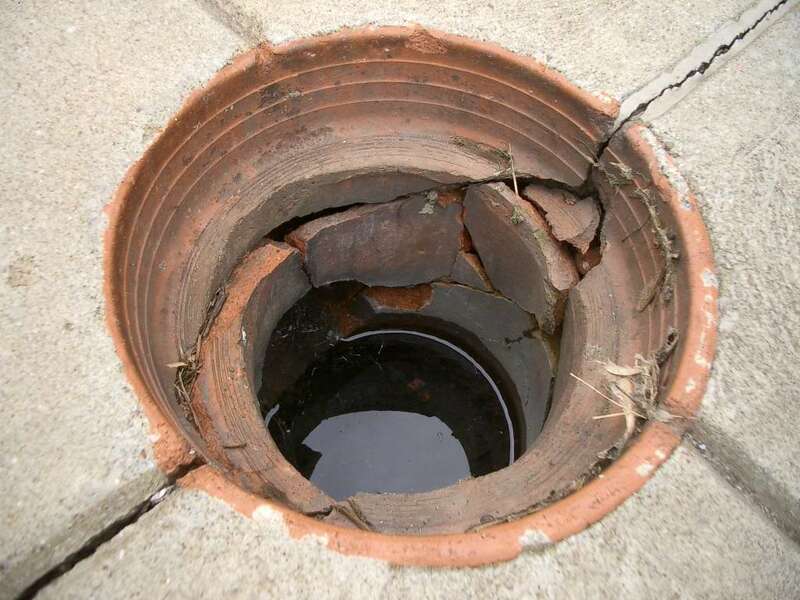 The Blocked Drain Bristol engineers are equipped to deal with this issue, and can use the most up to date CCTV technology to locate the problem and get a head start on fixing it. All work is fully guaranteed, and, with such a well established team, you know you will always be satisfied with the finished job. Wessex Water will handle communal drains. There are a number of things you can do to prevent Blocked Drains Bristol from becoming an unnecessary problem. We all know the emergency warning signs; when the sink water starts to cause problems . These warning signs can stop you from ending up with a complete blockage or a burst pipe and these warning signs can then save you valuable time and money. Simple solutions such as boiling water, baking soda or dish detergent can clear a clogged toilet or a blocked sink within minutes, and save you from having to deal with the stressful situation of an emergency home drain blockage. You can even make easy devices with coat hangers to clear a blockage in the main drainage system, keeping you from having to make any emergency call outs. 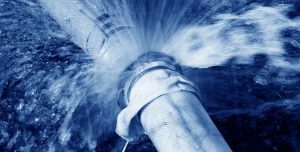 Understanding the types of water leaks that occur in building piping can help you watch out for leaks that are not so obvious. A burst pipe caused by a blockage can be disastrous to your home and can be costly to repair, so spotting the signs before the damage is caused can be a Blocked Drain Bristol saviour. It can often be solved by accessing the pipe or U-bend where the blockage occurs, safely removing this, and manually releasing the blockage. 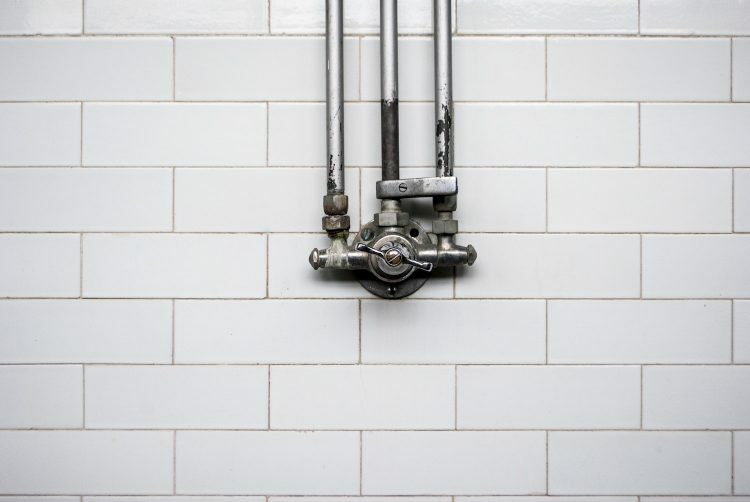 However, if you find yourself with some seriously blocked drains and pipes, then you may need a slight step up – drain jetting is for blockages that are particularly stubborn or further down in your home’s plumbing. But what does this process involve? 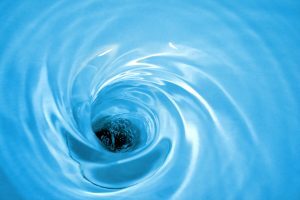 Well, while it sounds scary, jetting is a simple and immensely effective drain unblocking technique that works particularly well in places where you have repeated problems! Drain Jetting is also known as High Pressure Water Jetting, and this sheds some light on what the procedure involves. Our team will bring along a tank full of water with an attached hose and jetting nozzle for your Blocked Drain Bristol. When turned on, the water shoots through the hose at high pressures, and the nozzle directs the flow in both the forward and backwards directions. The hose is fed through your plumbing until it reaches the problem area, and then turned on, releasing lots of fast moving water which easily breaks up stubborn blockages. The water going behind the hose helps finish the clean-up job thoroughly, meaning your pipes get a 360 clean, and any refuse stuck to the drain pipe walls is removed easily and quickly. The jetting hose is so effective because it is flexible, and so can negotiate any bends in your system, allowing it to reach deep into the bowels of your home and remove years-old grime. It works in any sort of pipe and can remove drain blockages caused by waste, fats, grease and even tree roots! That’s simply how powerful the water is. So if you have a particularly problematic blockage or an area of repeat blockages, let our team know and Blocked Drain Bristol will be able to help you relieve that problem. Blocked Drain Bristol – What is a CCTV Drain Survey? In times gone by, if you had a blocked drain in Bristol there’d usually be some digging involved in unblocking it. This meant it was harder to locate a blockage and you could tear up a whole pipe system in trying to find it. This could get expensive, that’s why here at blocked drain Bristol we us the latest and greatest in CCTV Drain Survey equipment to get to the cause of the blockage, fast. But is the process taken by one of our trained highly qualified team when performing this service? Well CCTV is actually the only technology out that let’s us effortlessly explore drains and sewers to find blockages or even establish a rodent problem. CCTV surveys are also good for checking pipes for structural vulnerabilities and cracks, which could be caused by tree roots underground that we wouldn’t be able to spot without the technology. Our Team are experienced plumbers and drain specialists with experience using one of these machines since they first came out! Our team will collect data from your CCTV survey and will create a report with recommendations and advice as well as technical data such as CAD drawings. We also have portable CCTV systems for harder to reach areas, meaning there’s no need for our vans if they can’t fit. As previously mentioned CCTV surveys are also used for finding cracks and the surveys aren’t the only ones. Rats and other vermin can get in your drains through cracks and this can cause serious damage to your pipes. Get your CCTV survey done today! Our lines are open 24/7 365 days of the year and you’ll always be able to speak to one of our advisors about our CCTV drain surveys or any of the other services we offer. Call us today, we’re waiting for your call!